When it's used well, personalisation has the power to really enrich user experience, boost customer engagement and ultimately make you more money. We're finding more and more of our clients are looking for ways they can create products and services that are individually tailored to their users. To get a bit of inspiration, we thought we'd take a closer look at some particularly clever and effective examples of personalisation. In 2015, as part of their birthday celebration, easyJet created totally personalised emails for their customers. They used data to dynamically populate emails with links, copy and images relevant to each customer's own 'travel story', reminding them of their past holiday experiences, turning information about their previous holidays into relatable stats, and suggesting future trips they might want to take. Users loved the fact that the emails were so tailored to them - open rates were over 100% higher than the average easyJet newsletter, and hundreds took to social media to talk about how much they loved their story. 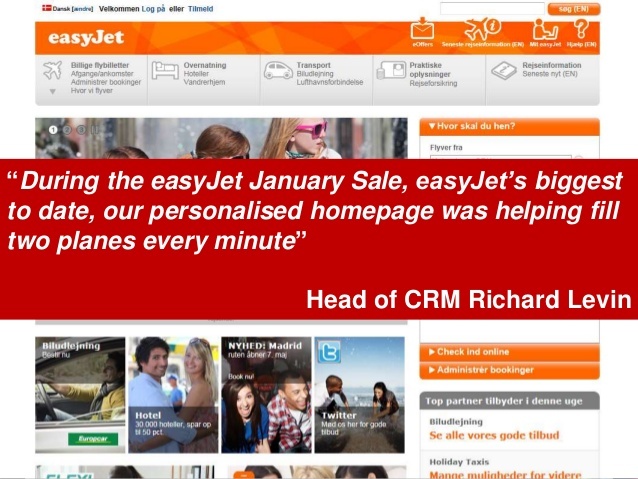 And that love quickly converted to sales, with 7.5% of easyJet customers who received the fully personalised email going on to make a booking within the next 30 days. Data and personalisation have always played a vital role for Netflix. Recently, they've applied a fascinating extra layer to their recommendations system. The entertainment that they point their users to was already informed by the TV series and films they'd previously engaged with. But as of December 2017, the images that accompany these recommendations have also been tested and tailored to suit the tastes and interests of each user. Netflix are using reams of data to inform which version of artwork to feed you. So, as illustrated below, if they know you've watched a lot of comedy films, they'll used artwork featuring Robin Williams when they recommend 'Good Will Hunting' to you; if they know you've watched a lot of romantic films, they'll use an image featuring Minnie Driver and Matt Damon to recommend the same film, all in an attempt to make it appeal more directly to you. "This project is the first instance of personalizing not just what we recommend but also how we recommend to our members," point out the Netflix team in their Tech blog, where you can read more about the work they've been doing. Bentley buyers can take their pick from a huge range of personalisation options to make their new car feel even more luxurious and unique. But in 2016, the brand introduced cutting-edge facial recognition technology designed to take the legwork out of creating a bespoke Bentley. Customers who visited their luxury studio at Westfield shopping centre in West London were shown a range of lifestyle-themed films and images while a camera scanned their expressions to track their emotional reactions. Complex software assessed their reactions in order to build a picture of their likes and dislikes, and that information was then used to create a custom Bentley it thought best suited them. Genius! The same technology's also been incorporated into the Bentley Inspirator app so potential customers can create their perfect car from their phone too. Yes, it's another one from the budget holiday provider… Those guys are just so good at this stuff! In 2011, easyJet began using powered search and GeoIP data to personalise their homepage, showing flights from a user's local airport, as well as content that aligned to their previous behaviours, and live pricing for relevant flights. By early 2012, they were delivering personalised homepages to more than 2.5 million concurrent users at peak times. They then introduced the "Inspire Me" tool, designed to match users with their perfect trip based on their digital fingerprints. The launch of the tool was supported by an email campaign designed to arrive in a user's inbox at the most opportune time based on their previous behaviour, anticipating their plan to take a last-minute city break or book a family vacation to coincide with the upcoming school holiday. The result? Doubled engagement and quadrupled conversion. Here's the full case study. Every day, Spotify's feeds its users totally personalised playlists under the 'Discover Weekly' category. Spotify use a technology called Echo Nest to create a 'Taste Map' that highlights the specific genres of music that you favour and fills your 'Discover Weekly' list with songs from related genres or artists. 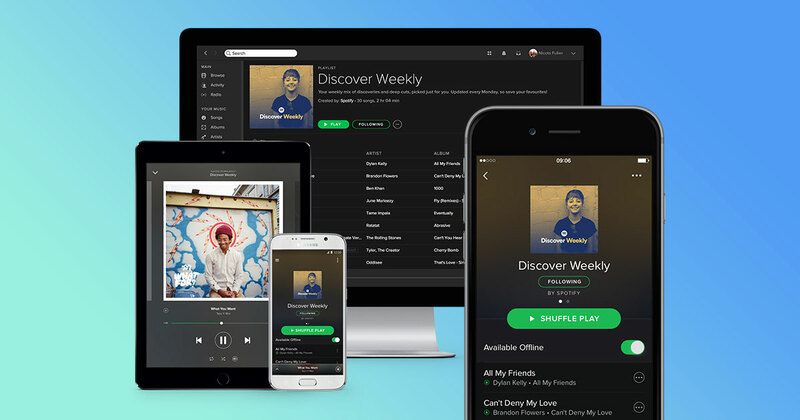 It also analyses the two billion playlists in its database to come up with new tracks for you - if it finds a playlist containing two songs it knows you like, and a third that you've never heard, it'll recommend that third song to you in Discover Weekly. All of this helps users to discover new songs and artists they might not otherwise have come across, and keeps them coming back to Spotify for more. 2018 will see personalisation become the norm for a much wider selection of brands, with tools like Google Optimize making the technology that powers website personalization more accessible than ever. Outside of conventional web properties, we can also expect to start seeing increasingly sophisticated, AI-powered, personalized experiences in other mediums, such as this new chatbot that wants to be your best friend. 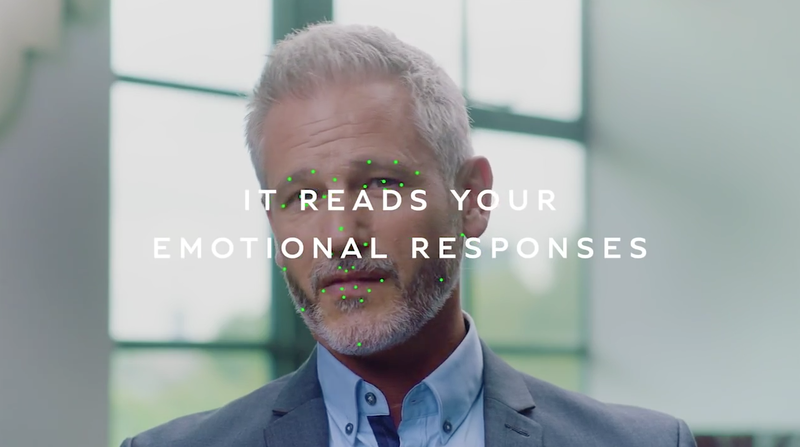 Our interactions with digital tech are going to get deeper (and potentially creepier) than ever, but when personalisation's done right, it can truly drive stickier connections with your audience, ensuring you grab them when you get the chance, and give them a reason to return. Seen any cool examples of personalisation lately yourself? We'd love to have a look! Tweet us @Computerlovers.